Antique Russian silver 84 cloisonne shaded and en plein enamel box with stamps by Maria Semenova. 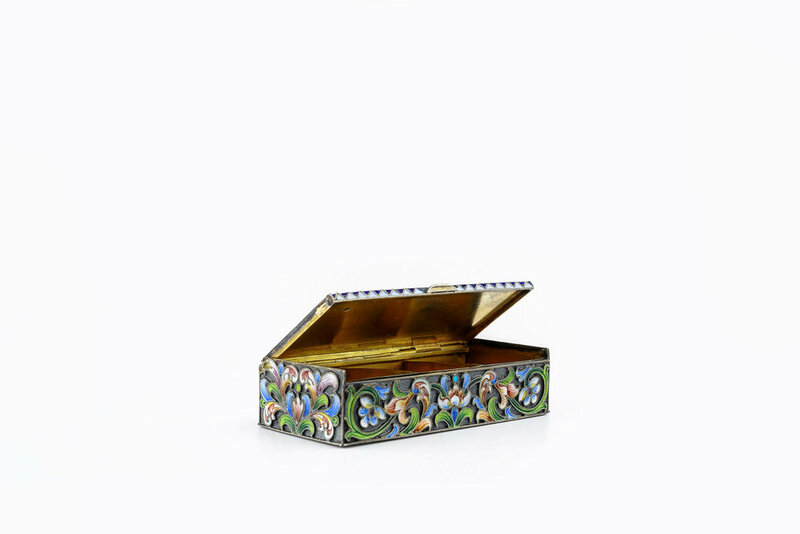 A beautiful antique Russian silver 84 cloisonne shaded and en plein enamel box with stamps by Maria Semenova. Length is 3.2 inches. Width is 1.5 inches. Height is 0.8 inches. Weight is 118 grams.